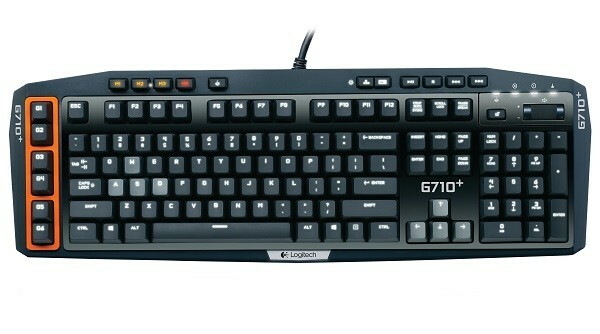 Logitech AU have given us a special treat in the opportunity to give away 2 Logitech G710+ Mechanical Keyboards to a couple lucky readers. This is a huge competition with the two keyboards clocking in at a combined AU$460 value! With whisper quiet keys, adjustable dual-zone backlighting, six programmable G-keys, a game mode switch and so much more, this is a fully-featured gaming keyboard that will take your PC gaming to a whole other level. Couple it with the spectacular Logitech G502 Proteus Core Tunable Gaming Mouse and you’d have the optimal setup at your fingertips. Click here for the complete specs from Logitech. *Windows Vista, 7 or 8 are required for use. What is your keyboard horror story (missing keys, etc) and how did it hinder your gaming experience? Did you have to pull a modern day MacGyver? If you have an answer to the question/s above, you’ll certainly appreciate the quality of the Logitech G710+ Mechanical Keyboard. This competition will close late on April 15. Make sure you use a valid email when you register with Disqus before posting your comment so we can email you if you are one of our winners. If you choose to enter by logging in with your Facebook account, your email is not required. Our thanks to the fine folks at Logitech AU for enabling this competition, and good luck to everybody!